Coaching a toddler to eat eggs can be a challenge. One day your three-year-old may like scrambled eggs for breakfast and not like them the next day. I found a way to interest my little granddaughter in eating egg salad. She loves to help cook when I visit. Lately, she and her younger sister have discovered a kitchen gadget that also makes a fun musical instrument. The egg slicer. After a few days of watching them play their new “instrument”, an idea occurred to me. 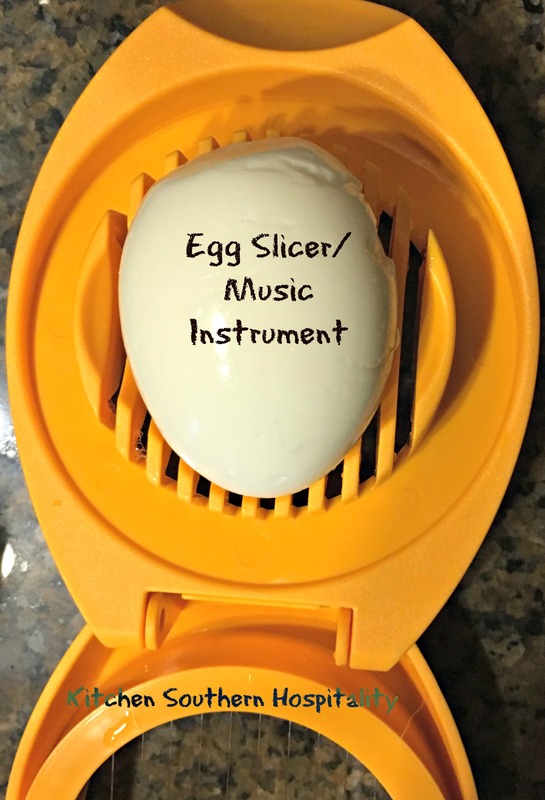 Calling my three-year-old grand over to me, I lifted the top of the slicer and told her that an egg goes there and that you push the top down to slice the egg. She was quite interested and wanted to go slice the egg right then. “First, Grummy has to boil the eggs. When they’re ready, I’ll let you slice the eggs,” I promised her. Wasting no time, I went to the kitchen to get four eggs out of the fridge. I placed them into a pot of cold water, put the pot on the stove, and boiled the eggs for five minutes. Placing a lid on the pot, I let the eggs stay in the hot water for 20 minutes. I ran cool water from the faucet over them then put them in the refrigerator until we were ready to make our egg salad. Little grand was so excited to slice the egg. She thought it was so much fun and wanted to slice all four eggs. Her excitement continued. She wanted to stir the mayonnaise and other ingredients. Of course, I was happy to let her. When the salad was ready, little grand and her sister couldn’t wait to eat it – and WITHOUT bread! I was surprised. The little one loves to eat now that she’s discovered “real” food. Her older sister, however, gets a bit picky with food. This time, though, she was so anxious to try “her” new recipe. I was quite surprised because, normally, she doesn’t want to eat eggs unless I make her an egg sandwich. Boil the eggs, peel them, and place them into the fridge until ready to make the salad. Peel the apple and chop into fine pieces. Slice eggs and chop fine. Add mayonnaise, pickle relish, salt, pepper, and apple. This looks like a great recipe. I will have to try it. I’ve never used apple in egg salad before, but I plan to try. That’s a great way to sneak more vitamins and fiber into egg salad.